energy, with this system we also exploit value energies as the resulting water vapor. 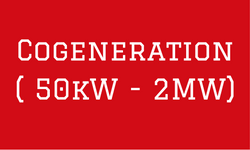 High efficiency cogeneration from 5 kW to 2 MW. HIMOINSA® technology provides optimal solutions to exploit the available energy in the fuel; natural gas, biogas, LPG or oil. With more than thirty years of experience in the industry, HIMOINSA® cogeneration is supported by an energy worldwide leader with presence in more than 130 countries.